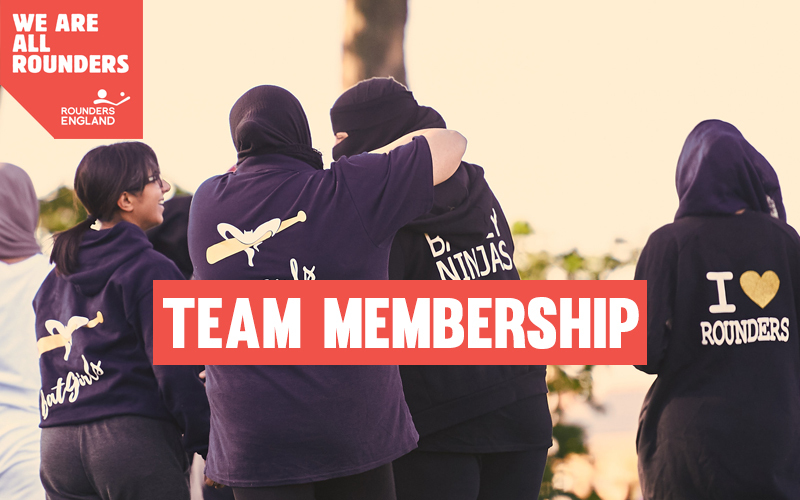 Ahead of the 2019 outdoor season kicking off in April, the introduction of team memberships will bring Rounders supporters even closer to the NGB, providing a range of benefits and discounts. Costing just £40 for basic Team Membership, the package comes with a network of support to help develop and service teams. It is the most cost effective way for teams to maintain engagement with the NGB, supporting their efforts to promote, develop and protect the sport nationally. Annual Team Membership Plus is £140 per team and is available to all teams who want the maximum insurance cover when playing or taking part. “We are delighted to launch our 2019/20 Team Membership packages following a survey we undertook with the broader Rounders community; including players, coaches and volunteers, back in September 2018. We have read the feedback and have created packages that we hope will ensure that becoming a member will be a fantastic way to support their NGB and enjoy the benefits that a membership brings. To incentivise teams we have some fantastic prize draws taking place each month until June, giving them the opportunity to win equipment or a coaching session for their team. For those teams that join the Rounders England membership or renew, during the month of April, they will be put into a prize draw for the chance to win an Aresson Classic Rounders set. For every team that joins the Plus Team Membership before 31st May, they will be put into a prize draw for the chance to win an Elite Coaching Session for their team.